Alan Jacobson has delighted us readers for a number of years now with his gripping Karen Vail books, and in the latest installment, the sinisterly titled Darkness of Evil, Vail comes up against what could be her greatest foe yet: a convicted serial killer. Senior profiler at the Behavioral Analysis Unit, Karen Vail, is juggling lots of projects and problems at once; but that’s just her modus operandi, in addition to dealing with a new boss who she doesn’t really get along with. She’s also keeping her eye on Jasmine Marcks, who has just published a book about her life as the daughter of a serial killer, which she had no idea about until she was a teenager and was crucial in having Roscoe Lee Marcks brought to justice and put away for a very long time. Roscoe killed fourteen people and Vail took over the case in the early days of her career, helping the guy get put away. Jasmine receives a note from her father. He knows about the book. He knows what she said about him in the book. He wants revenge. Vail lets Jasmine know the man is locked behind bars and everything will be okay. She is finally granted access to begin interviewing Roscoe to find out what he is up to, and then before she knows it, the serial killer escapes with help from a number of people on the inside. The rules have changed; the stakes are through the roof. It’s a whole new ball game. Bodies begin turning up, including a cop who was protecting Jasmine. The daughter decides to go it alone, keeping hidden and quiet, only getting in contact with Vail occasionally. Meanwhile, the ace profiler joins a crack team of US Marshals and other experts to chase down Roscoe and put him back in prison where he belongs. The Darkness of Evil kicks it into high gear right from the start, as the reader immediately gets drawn into the book. 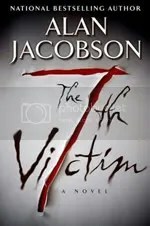 Jacobson continues to make Vail a complex and complete character, as she juggles personal life problems, other cases, and the nail-biting terror of a serial killer on the loose who seems to have no limits to whose life he may take. He could be coming around the next corner with his sights on her. But Vail is a professional. She is experienced; a veteran. She knows what has to be done, and the reader is thrilled to be along for the ride. To purchase a copy of The Darkness of Evil from Amazon, and help support BookBanter, click HERE. Karen Vail, renowned FBI profiler, is back in her next adventure, only this time she’s doing something a little different: serving as a crucial member of an unusual team designated OPSIG Team Black as they attempt to unravel the story behind two ancient biblical documents. With the first terrorist attack on US soil in some time, Karen Vail finds herself pulled into something much bigger than she can imagine. As she puts the pieces together and learns of the significance and implications of this attack that will likely turn to more, she is pulled into an elite group sanctioned by the President of the United States. The trail will take this crack covert team from DC to New York to Paris to England and eventually to Israel. The first sanctioned Bible is purported to have been first recorded in 930CE, and after this document is rediscovered, in 1953, half of it goes missing. Then another document around the same time is discovered near the Dead Sea. Both items have potential revolutionary effects, depending on whose hands they end up in. Naturally there are many people from various “arenas” who would love to possess them, and it ultimately all comes back to the cradle of western religion. There is good and bad with The Lost Codex. The bad is that since Vail is part of a team, the book doesn’t feature Vail all the time as readers have enjoyed in the past. However, the good is that this crack team has to use the various skills of each member to remain incognito and get to the bottom of these series of attacks. 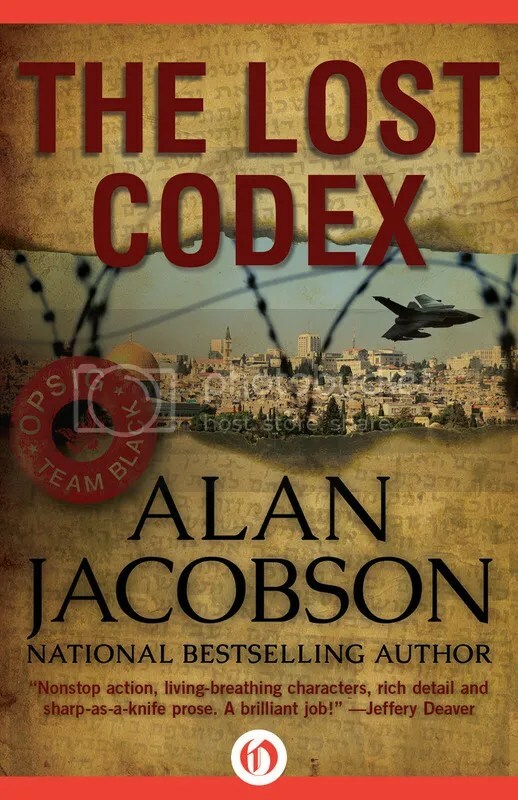 Jacobson has already proven he knows how to write a thriller, and in The Lost Codex, he leads his characters all over the world, infiltrating, researching, following up leads, and doing their jobs to the best of their abilities. It’s a thrilling book with a complex and fascinating story that pulls the reader in. Originally written on October 27, 2015 ©Alex C. Telander. To purchase a copy of The Lost Codex from Amazon, and help support BookBanter, click HERE. Karen Vail returns for the sixth installment, in Spectrum, and this time Alan Jacobson gives the readers a look at her past and how she went from being a NYPD rookie to one of the best FBI profiler’s. The book begins with an opening throwing the reader in the middle of a case where Vail has some big decisions to make, and then switching off in every other chapter about a Greek family beginning in the 1970s, and while it seems confusing at first, it all comes together at the end. It’s 1995 and Vail is on her first day of the job as a rookie New York cop with a tough as nails veteran partner looking to please and do everything by the book, but also learn the way of the streets and do the hard work she needs to succeed. She is pulled into a murder case that, as the years pass, becomes a long drawn-out serial killer case. It remains unsolved for over two decades, and each time a new body is found – a woman with a slashed throat and jagged piece of glass protruding from her neck, cuts blinding her eyes, and a strange X and four letters carved into her – Vail is notified and brought in to investigate, to see if they can get any closer to finding out who the killer is. The other part of the book focuses on a Greek family whose father is involved in a strange fight that turns bad and leads to them being ostracized from their culture. They have to leave their home and everything seems to be against them. Eventually they end up living on Ellis Island in an abandoned building, struggling to get by. 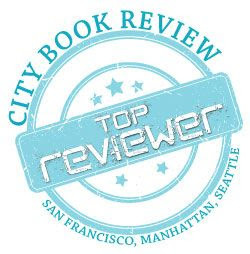 The story seems out of place and not exactly clear to the reader, but halfway through the book the link becomes apparent as the reader is able to put the evidence together and understand what the author is doing. 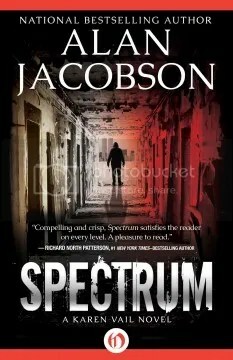 Jacobson clearly had a lot of fun writing Spectrum and readers familiar with Karen Vail will really enjoy reading her history, not just in how she climbed the ranks of the NYPD, then joined the FBI and eventually became a profiler, but also in her personal life with her husband who became her ex-husband and how she raised a child on her own while advancing her career. Like a gripping case, Spectrum has all the pieces and evidence there, and if the reader does some good detective work, they will put it all together and know who the killer is by the end, or be pleasantly surprised. Spectrum is the best Karen Vail novel yet and whether you’re familiar with the series or this is the first one you’re reading, you’ll be hooked from cover to cover. Originally written on October 5, 2014 ©Alex C. Telander. To purchase a copy of Spectrum from Bookshop Santa Cruz, and help support BookBanter, click HERE. In the fifth Karen Vail installment, the great FBI profiler gets to take a trip across the pond and enjoy some bangers and mash, visit Big Ben and help out some bobbies . . . no, actually, it’s much more cooler than that. Vail finds herself on orders to help out New Scotland Yard with a special kind of case that soon turns into something much more complex and terrifying, dragging her from the world of profiling and tracking to outright black ops. But if there’s anyone who can handle it, it’s the awesome Karen Vail. No Way Out opens with Vail teaching a class at a conference in Madrid, Spain and soon finds herself in hot water and on the wrong side of the policía. Before things can get too heated, Vail gets dispatched to jolly old England for the first time in her life to help out New Scotland Yard with an explosion at a private collector’s gallery. But constables are not expecting much from a “profiler,” even when Vail starts doing her detective work and putting the pieces together. At the heart of the explosion appears to be an attack against the supposed discovery of an original folio of one William Shakespeare, penned in his own hand. What’s more startling is its possible link to a theory that Shakespeare’s works were in fact originally written by a “dark-skinned” Italian Jewish woman, one Amelia Bassano Lanier. Since England is more synonymous with Shakespeare than the Beatles, it would come as a shocking, thermonuclear blow to the Brit population as a whole. But as Vail continues to dig deeper, everything is not as it seems, and the case is far more complex and sinister and has ties deep within the British government. Plus one of the guys involved in solving everything turns out to be an old friend of Vail’s, Desantos, who’s working undercover and will stop at nothing to get to the bottom of these terrorist attacks. Because the guy behind it all is on the world’s most wanted list, Desantos has a score to settle, both on an international and a personal level. 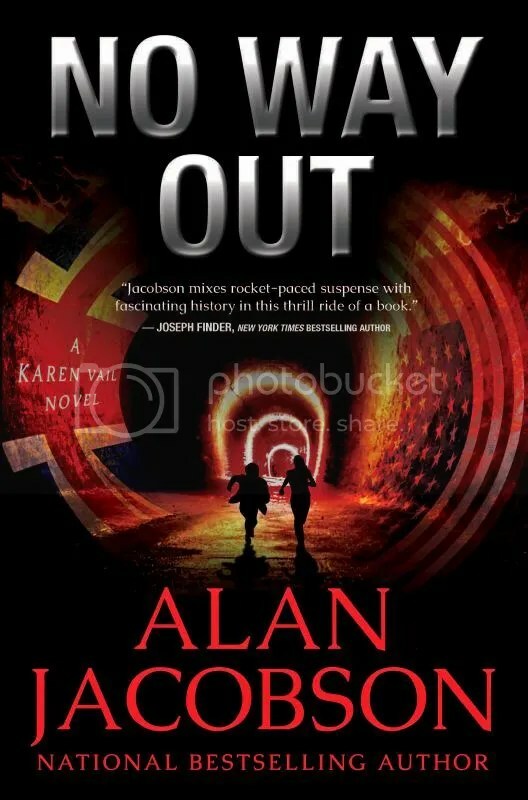 No Way Out is the best Karen Vail novel yet, because Alan Jacobson has outdone himself with the research. As someone with a British parent and friends in Britain and having taken a number of vacations to London and the surrounding areas, I take a perverse joy in nitpicking and critiquing novels set in Britain that aren’t always accurate. No Way Out whisked me away to London and planted me firmly there with the culture, the language, the vocabulary . . . Jacobson did a fantastic job. As for the detail with the British police service, MI5, British military, and even a US aircraft carrier, Jacobson has again done the work and immerses the reader seamlessly into this world. There are also a number of scenes involving the unusual British aircraft the Osprey, culminating in a final action scene that may be one of the best you will read. What makes a Karen Vail novel so enjoyable is that Jacobson makes them as real as possible. The characters try hunches and ideas and risky plans, but unlike most thrillers, they don’t all work. There are failures and the characters have to go back to the drawing board and start again. It makes for more interesting and believable conflict in the story and keeps that reader reading. No Way Out goes beyond being a great summer read, and may be one of if not the best thriller of 2013. Fans will love it, and brand new readers will also. Jacobson explains any necessary back-story, escorting the reader along on one wild ride that the reader wishes partly to never end, but at the same time want to find out how it all ends. Originally written on July 24, 2013 ©Alex C. Telander. To purchase a copy of Now Way Out from Amazon, and help support BookBanter, click HERE. 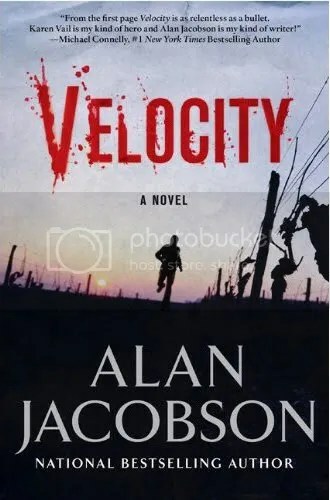 Alan Jacobson is the bestselling author of the Karen Vail mysteries, beginning with The 7th Victim, Crush, Velocity, and most recently, Inmate 1577. He has spent a number of years researching with the FBI, especially in the Behavioral Analysis Unit. 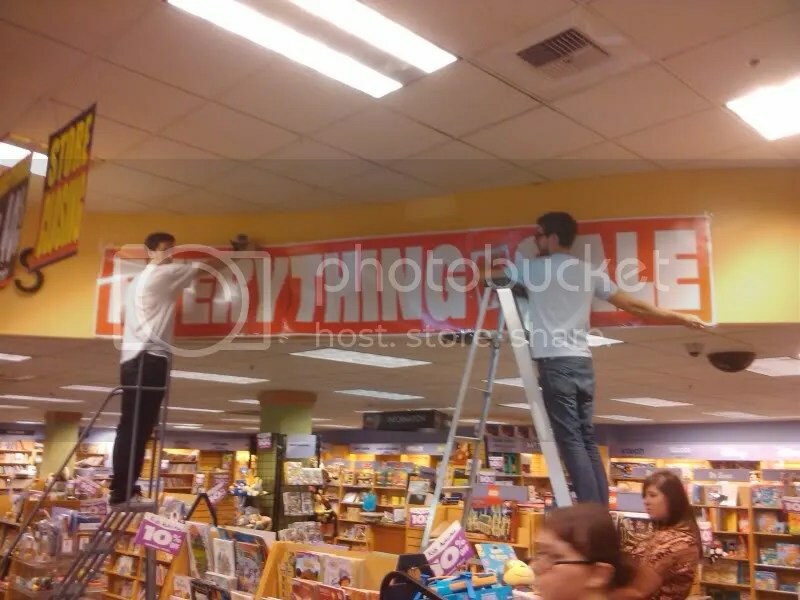 He was previously interviewed on BookBanter with the release of Crush. In this interview, Jacobson talks about how he writes one of his thriller, the intense amount of research Inmate 1577 required, and why he feels this research is important, and where he sees Karen Vail headed in his next novel. Alex C. Telander: When writing a mystery do you start with the ending and who the killer is and work your way back, or write chronologically like the reader reads it? Do you always have the ending worked out beforehand? Alan Jacobson: I always start with an idea that I find intriguing—and irresistible. My sense is that if it gets my storytelling juices flowing, it’ll excite my readers, too. I write down everything that I can think of relative to the developing plot, and keep typing, without stopping, until nothing else comes to mind. Over the subsequent days and weeks, it keeps bouncing around my head, and I keep jotting down those thoughts and ideas. Day by day, the story takes shape. The characters also come to me during this brainstorming process. The question of which comes first, the characters or the plot, is tough to answer. They feed off one another, are a part of one another. The characters who populate my stories are there for a reason relative to the story, so they can’t be switched out or deleted from the story without changing the plot I’m creating. Likewise, the ending comes to me during the outlining process. It’s organic and flows from the story that I’m telling and the characters through whom I choose to tell it. On occasion, the ending comes to me at the same time as the initial idea. But because I outline, I always know where I’m going. I don’t start writing page one before I have completed my outline—so while the ending is a surprise for the reader, it’s never a surprise for me. Everything builds up to that moment, so it’s all orchestrated, knit from page one, leading to that final paragraph. Alex: Will the events in Inmate 1577 keep Karen Vail in Northern California from now on? Alan: Not at all. In Inmate 1577, there was a reorganization of the Behavioral Analysis Unit such that Vail and her partner will be assigned cases that come out of the western region’s FBI field offices. This is a setup the FBI really did use at one time. But the western region is a huge area—and even at that, it doesn’t mean that future Vail novels will only be set on the west coast (in fact, the next one will not be—more on that later). Alex: How much research did Inmate 1577 require? Alan: Beyond belief! My readers know I spend months (and sometimes years) researching my novels. My feeling is that the story I tell and the characters I create should be the only fictional aspects—everything else should (hopefully) be factually accurate. There are people who really do the things I write about, so I try to respect their professions and knowledge base by not “just making it up.” It also takes the reader out of a story if I incorrectly refer to something he or she knows well. So if my character gets into a Lexus convertible, and Lexus doesn’t make a convertible, those readers who know cars will stop reading and say, “Huh? He doesn’t know what he’s talking about.” It ruins the read for those people, and it makes them doubt other things in the story. So I try to avoid that. Inmate 1577 is certainly no exception—I ended up doing a tremendous amount of research for a number of reasons: a large portion of the novel is set in the 1950s and early 60s, so I had to be familiar with slang, conventions, technology and attire for that period; another substantial part is set at Leavenworth…so I had to know what the place looked and smelled like, what the layout of the penitentiary was back in the 50s, and what the prison culture was like back then and how the guards handled (and interacted with) the inmates. Most importantly, of course, there’s the Alcatraz storyline, which took the lion’s share of my research efforts and time. I had to know what Alcatraz was like when it was operating as a penitentiary during the years 1958 to 1963. It was unlike any other prison, so I had to understand its history and its operational philosophy. And I had to know what the island was like during those years, as well as what it’s like in the present day because Inmate 1577 features The Rock in both time periods. I needed to know what life was like for the prisoners, for the correctional officers, and so on. And then I had to learn about the escape attempts—one in particular in excruciating detail—because I integrated my villain into that escape. It was the most intricate and daring (and famous) escape attempt in the world. I wanted my portrayal to be accurate because there are a lot of people who are very familiar with it—it’s legendary—and there are archival documents from FBI and Bureau of Prisons and US Marshals Service files. Although it meant several months of extra work, it paid off because I’m extremely proud of how Inmate 1577 turned out—and of the terrific reviews it’s received. I’ve also included a fascinating discussion at the end of Inmate 1577 detailing the fact vs. fiction aspects of the novel. Alex: Why do you think Alcatraz is such a special, infamous place to so many people throughout the world? Alan: I think it’s a multifaceted phenomenon: its location and uniqueness play a large role; it’s an island penitentiary where the worst of the worst were banished to serve their time. It was a formidable place, fed by rumors, and shrouded in secrecy during its earlier years of operation. The Bureau of Prisons’ attempt to quash media reports and stories about Alcatraz only served to fan the flames of suspicion about what went on in the middle of San Francisco Bay where sharks reportedly roamed and where the incorrigible and infamous inmates Al Capone and Machine Gun Kelly lived. As a result, Alcatraz became larger than life. And since the cell house is still intact from those days, the legend feeds off itself because millions of people visit it each year. It’s easy to step back in time and lose yourself in its history. Alcatraz is one of the most unique (and most visited) National Parks in the country. Alex: What made you decide to write two storylines with this book? Did it start out as a single story? Did you write each one individually, or switch off between the two like in the book? Alan: It came to me as a two storyline plot. The initial concept that popped into my head one day was, “Karen Vail on Alcatraz.” When I started to brainstorm the story, I wanted to get into the head of a man whose story began and ended with a tragic injustice. The thought of writing that man’s story in the 1950s as historical fiction was very exciting to me. Ironically, in a broad sense, the concept is similar to the one I visited in my first novel, False Accusations (recently re-edited and re-released as both an eBook and an Amazon trade paperback). Inmate 1577 is clearly very different, but the idea of someone doing nothing wrong yet falling victim to a criminal justice system that does not do right by him was an extremely intriguing storyline…one that a great many readers have related to. In the case of Inmate 1577, I wanted a villain—a serial killer—who we could feel sorry for. That’s a huge challenge! I wrote the book linearly, meaning from page one to the end. I alternated storylines just like the reader does when he/she reads it. However, there were a couple of occasions when I continued writing the story if I was in a rhythm in that time period and wanted to finish that particular scene. But most of it was written just like the reader reads it. Doing it that way gives me a better sense of the pacing and keeps me in touch with what the reader is feeling. Alex: You use a number of short chapters in Inmate 1577, which is a growing style in contemporary thrillers, is there a particular reason for this? Alan: I honestly don’t pay attention to chapter length when writing because that reduces the process to a very mechanical, rather than organic flow. James Patterson has used short chapters to great effect; he does it by design—he’ll specify in his chapter outline how many pages each chapter will be. And it’s a style that works for him. His goal is to make the reader feel as if she’s turning the pages quickly (a “page turner”)—because, well, she is. But innate pacing—driven by the writing, the action, plot, and characters, is much more important to me: is the story flowing well? Does it move from one scene to another? Is the reader engaged in what’s going on? If I do all that well, it doesn’t matter how long the chapters are. That said, if there’s a problem with pacing, chapter length might figure into the solution. But I’ve been writing novels for 19 years, so I’m at the point where I know when something’s not working or not flowing, or if the pacing or story gets bogged down. And if I miss something, my wife is a skilled reader with a sharp editing eye and she’ll point it out. Then there’s my editor, who’s terrific, and my copyeditor—all of whom are on the alert for problems. That said, I do pay attention to the way things are laid out on the page; if I want a scene to move quickly—if it’s an action scene, or if I want to turn up the tension—one way is to use shorter sentences, shorter paragraphs, and so on…because, as I noted above, your eyes move faster across the page. However, it’s something that comes organically while writing. Very rarely is it a conscious manipulation of the layout. Alex: With the many locations in San Francisco featured in this book, have you thought about organizing tours? Alan: I’ve had a lot of requests from friends and family to take them to Alcatraz! By and large, writing is a full time (and a half) job, so I wouldn’t have time to do that. But it sure would be fun to take readers to all the locations that play significant roles in Inmate 1577. Alex: You also have a new standalone book coming out soon, what can you tell your readers about it? Alan: Hard Target starts off with a bang—literally—with a spectacular assassination attempt on the president-elect on Election Night. Our two protagonists go in search of those responsible and the information they uncover leads to some very upsetting discoveries—including conspirators whose plan is so far-reaching and well-orchestrated that it could result in the overthrow of the U.S. government. But—I would not label it a standalone. It’s a hybrid standalone. I guess I’ve invented a new category! While it’s not part of the Karen Vail series, a number of characters who’ve figured prominently in my prior novels drive the action, alongside some new ones. Hector DeSantos, who debuted in my second novel, The Hunted (also recently re-released as both an eBook and an Amazon trade paperback), and who partnered with Vail in Velocity, returns. He teams up with FBI Agent Aaron “Uzi” Uziel, who’s in charge of the Joint Terrorism Task Force in Washington, DC. FBI Director Douglas Knox also returns to play a significant role, as does FBI CSI Tim Meadows (introduced in The 7th Victim). And then there’s Dr. Leonard Rudnick, Vail’s psychologist, who appeared in Velocity. Oh—and Karen Vail is in a chunk of the novel, too! So while it’s not considered part of the Vail series, you can see why I call it a hybrid standalone. 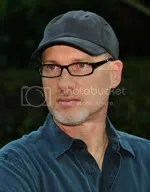 Hard Target should launch by February 2012. Before then, Karen Vail returns in a short story titled Fatal Twist. I believe my publisher is looking at having it live by November as a digital release. I’ll be releasing more info about it on my website, www.alanjacobson.com, as soon as it becomes available. While there, grab the free 23-page personal safety booklet that I coauthored with FBI Profiler Mark Safarik (who’s now starring in his own hit TV series, Killer Instinct). The free booklet contains vitally important information on staying out of the crosshairs of violent criminals. Alex: Why did you change publishers? Alan: It’s a long story—but the short answer is that the Borders bankruptcy was announced on the day that my publisher had to commit to Inmate 1577. 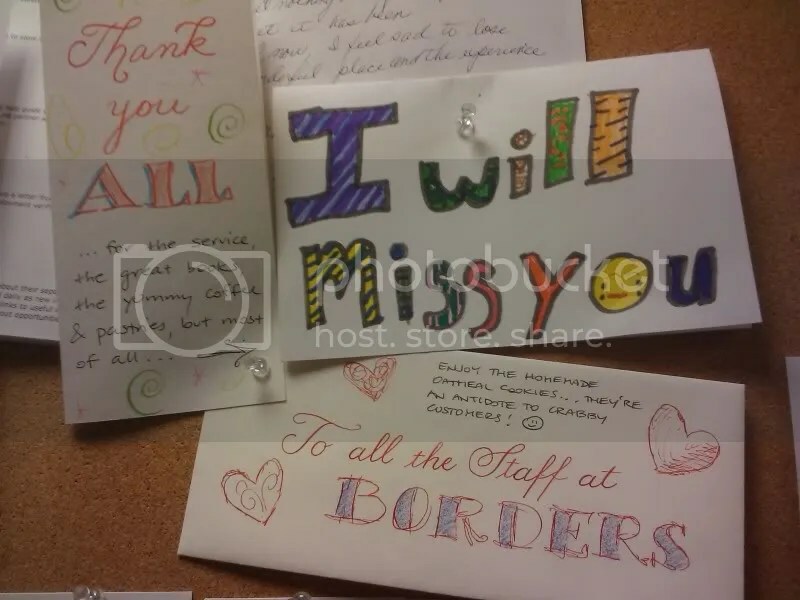 Borders owed them nearly $9 million–money that was never going to be repaid—so they refused to continue shipping books to Borders, even though they were one of their two main sales channels. 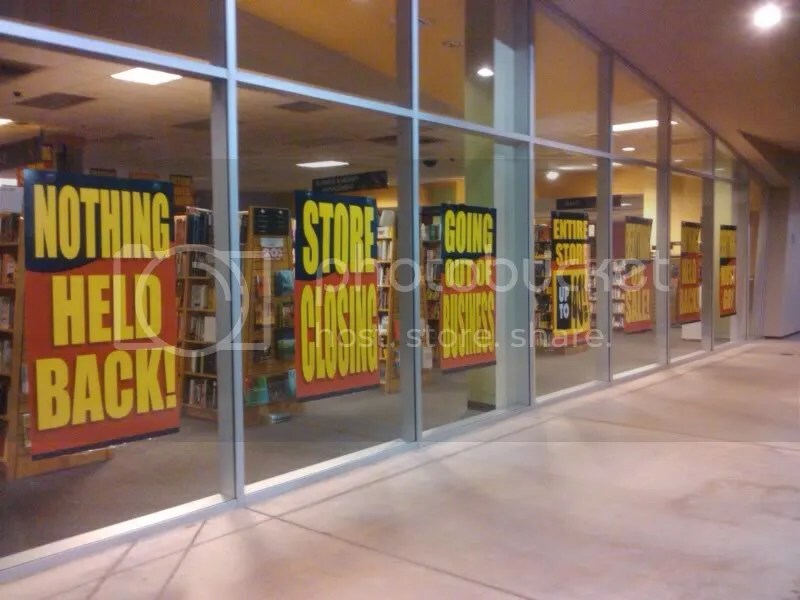 Barnes and Noble was (is) going through a financial upheaval themselves—closing stores, severely cutting inventory and the number of titles they stock. My publisher thus wanted to publish Inmate 1577 as an eBook original—that is, no bound edition because they didn’t have enough brick-and-mortar stores to sell them through. At the same time, with the digital revolution growing exponentially, my agent wanted me to go with a publisher who had a strong digital presence and the know-how to leverage that platform in the most efficient way possible. Inmate 1577 was thus published through Premiere Digital Publishing, who had recently re-issued my out-of-print novels, The Hunted and False Accusations. Norwood Press, which specializes in collector’s editions and signed first edition hardcovers, released Inmate 1577 in hardcover. It’s a beautiful book—they did a terrific job. There’s also a trade paperback (same size as a hardback, but with a soft cover) that will be available on 10/1/11 through Amazon.com. Alex: Any hints at where Karen Vail will be headed next? Alan: Yes! If my plans come to fruition, Vail is headed to England, where she’ll partner again with Hector DeSantos.